Great news! For a limited time only, we’re offering FREE EXPRESS SHIPPING on all orders placed on or before the 24th of Dec. 2014! No coupon required, just choose Free Express Shipping during checkout! Visit our online store. Want to make sure your Lagu arrives before Christmas? Please read this post about shipping times: https://www.lagu.com.au/2014/12/christmas-orders-delivery-times/. 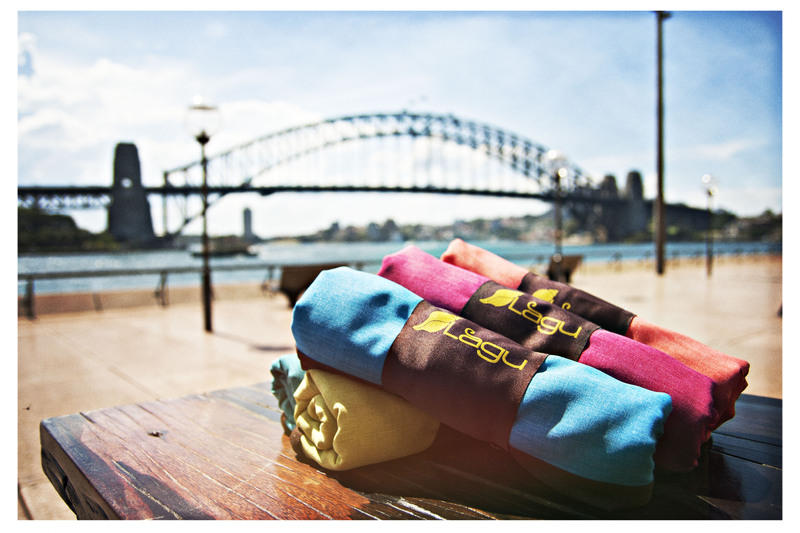 It's official, our first Lagu shipment has touched down on our Australian shores. Orders will begin shipping early next week to people who have placed pre-orders. We have extended our pre-orders discount until next Monday (11:59pm 8/12/14). So take advantage of our introductory 20% off here! Make sure you use the code SUMMER2014 at checkout to get this deal. The world’s first beach-friendly beach blanket is now available in Australia and New Zealand! We’re taking pre-orders for our first shipment of Lagu beach blankets and Life on the Sands beach bags, so get yours now – Lagu online store. We’ll deliver your order to you as soon as it reaches our beautiful Australian shores – perfect timing for summer! Have you seen our Facebook page? In celebration of our launch we have a special pre-order offer for our fans. Check us out at facebook.com/LaguANZ.